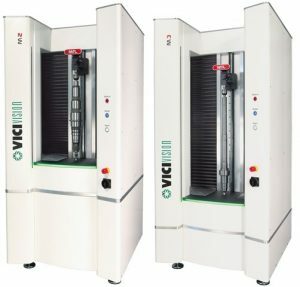 VICIVISION UK introduces the latest in turned part measurement with the M1 and M2/M3 optical measurement systems with true telecentric lens technology, ensuring your measurements always remain accurate and repeatable. This system combines speed, accuracy and repeatability like never before. The ideal tool to flank multi-spindle lathes or sliding head lathes in one compact and ergonomic design. Built to withstand the production floor environment, the M1 reduces measuring times making your turned part component measurement process even faster, setting a new bar in its sector. The M1 offers inspection in a matter of seconds and programming in minutes, catering for measurement of simple fittings or small shafts up to 60×300 mm with an increased load capacity allowing for elements up to 120 mm in diameter to be positioned. Measurement is not influenced by manual intervention through automated scanning and collection of data, allowing operators to be more independent during the inspection process. 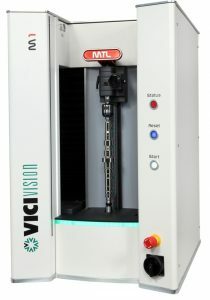 Take a look at the product spec on the new VICIVISION M1 optical measurement system. The M2/M3 has a measurement capability that is able to carry out advanced accurate measurement of small and large turned components. This milestone technology is born to assist in production, designed with large shafts in mind with the ability to capture minute details such as bevels and small radii. This machine can be programmed in a matter of minutes and captures inspection data within seconds. With automated data collection at the touch of a button, users become much more independent during the inspection process. This top-end machine can measure small components to 140×900 mm shafts with an increased load capacity which allows elements up to 250 mm in diameter to be positioned for optimised measurement. Its ergonomic clamping level secures the piece with ease, with a wide grip feature suitable for both left and right-handed operator use. This feature also works to prevent view obstruction during clamping or unclamping of the piece. The live image of the piece is displayed by the software, in conjunction with an LED illuminated working area this provides a clear vision of the condition of the component set for measurement.